While the movies will have you believe that wedding cakes are lavish three-tiered affairs big enough to fit several humans inside of, the reality is that wedding cakes have become a little more humble of late. Most brides choose to forgo the traditional (and costly) fruit cake and have something that the guests might find a little more appetising. Making your own cake instead of spending a fortune on having one made is not unheard of, and it certainly does not mean that the result will be sub-standard. Cupcakes are still very popular when it comes to wedding cakes and they are the easiest way to make an impression. It’s easy to make cupcakes on a stand look beautiful. If you are set on having a cake to “cut” then simply make a small cake to “match” your cupcakes. If you’re not an experienced cake decorator then it is best to keep it simple. “Simple” does not mean “ugly” – it just means simple! Consider a rustic look. Simply scrape a bit of white icing on to each cupcake(or big cake if you are feeling brave) in a sort of “untidy” way and then decorate with a sprig of lavender. If you don’t want to go for the “scraped on” look, get yourself some good icing tools. The right tools will go a long way in helping you fake it. 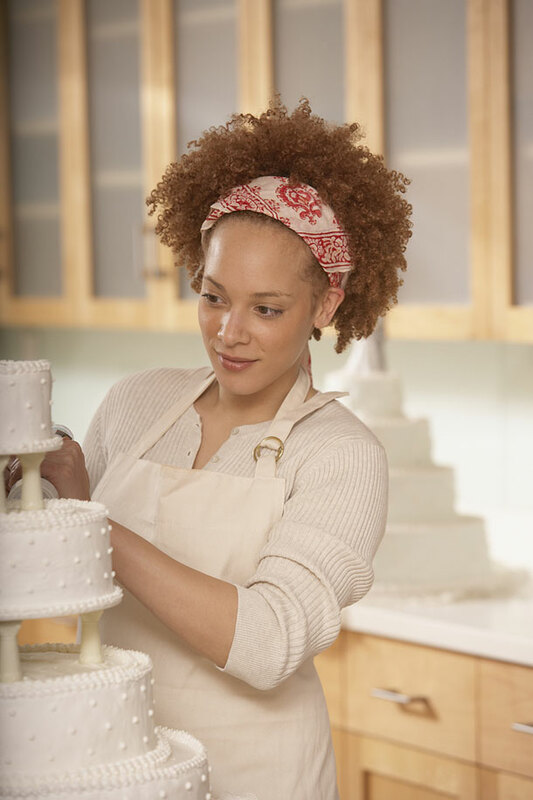 Cake shops are filled with beautiful décor options for cakes. From tiny little edible hearts to fairy dust-like glitter powder to gorgeous pearls in different colours – there’s a bundle to choose from! If you’re not into that kind of thing then consider decorating with fresh flowers or even beautiful fruits like strawberries or cherries. If you have chosen to go for cupcakes, consider putting them in a pretty cupcake cup. These are also available in a variety of options from pretty white “lace” cups to bold polka dot cups.